Ian Miller first came onto the London Comedy circuit in September 2009 after doing he's first gig at the 2009 Fringe after doing a Laughing Horse comedy course, and since then has been continuing doing over 100 gigs a year on the London Open Mic Circuit. In the past year Ian has been mainly focusing on doing longer sets outside of London, performing open-middle spots in places such as Leeds, Cornwall and Margate, most notably a Saturday night open middle spot at Mr Ben's in Leeds. He's sets usually revolve around comics, cartoons and not getting laid much, and has been described as 'A bit weird but really funny'. Ian has had some success in the comedy competitions getting to the semi-final of the Jokers New Act of the Year Contest and the Quarter-Final of the Laughing Horse New Act of the Year Contest 2012. 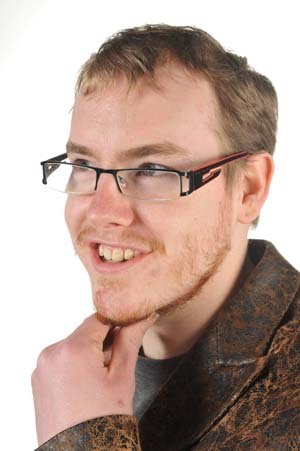 Ian is also doing a full run at the 2012 Edinburgh festival running 101 Comedy Club, a showcase show which aims to put newer acts on the same bill as more experienced professionals.